A NEW and exciting School of Birding Workshop - perfect for birders of all levels, from beginners to experienced. Cape May is synonymous with migration and birds in flight! This may include waterfowl, wading birds, raptors, shorebirds, swallows, and songbirds. 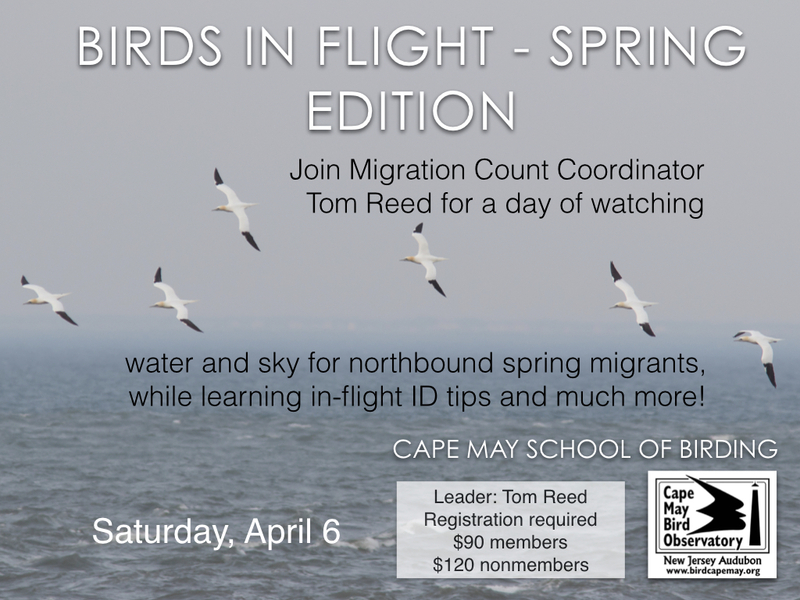 Join Migration Count Coordinator Tom Reed for a day of watching water and sky for northbound migrants, while learning in-flight ID tips and more about the status and distribution of spring migrants at Cape May. 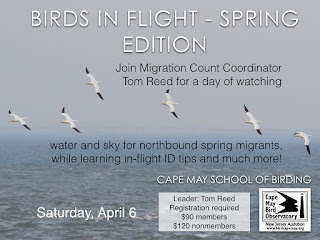 As an added bonus, this session will also touch on the fundamentals of bird migration counts and how they are conducted, along with an introduction to the new Cape May Springwatch. Preregistration required.